Find out what we are catching in our fishing report blog. We post fishing reports as often as possible to keep in you in the bite! The Holiday Season is in full swing and so is the BONEFISH BITE here in the beautiful Florida Keys! 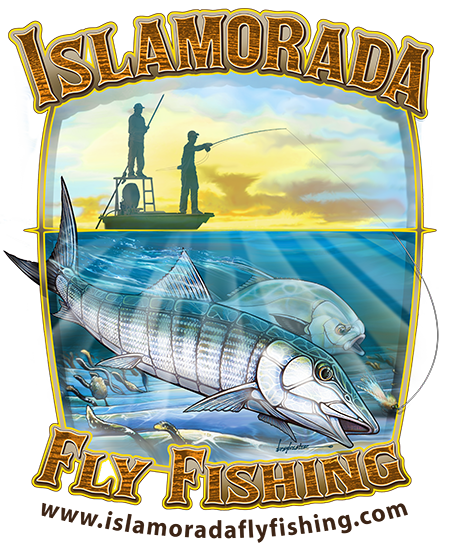 Islamorada Fly Fishing Charters can guide you to stocking stuffers such as Bonefish and Tarpon on the flats as well as Snook and Redfish in the backcountry. Santa isn’t the only family favorite making the rounds right now. The “Gray Ghost of the Flats” has been seen on our trips but we’re not offering milk and cookies. Our anglers are casting my special “Scared Shrimp” patterns on 8/9 weight outfits and catching Bonefish in the 5-10-pound weight class. Comet, Cupid, Donner and Blitzen have nothing on a Bonefish peeling off line once hooked and screaming across the flat. While most of the country is digging out from record snowfalls, our Islamorada and Lower Keys bonefish are enjoying water temps in the mid-70s, which makes them quite frisky…and hungry. Even when the wind picks up, we’ve carved out spots on the leeward side to connect our anglers with one of the most challenging species to target on fly. Since the water temps are favorable, we’ve also been catching late-season Tarpon along with the Bonefish to make for a great one-two punch on the flats. 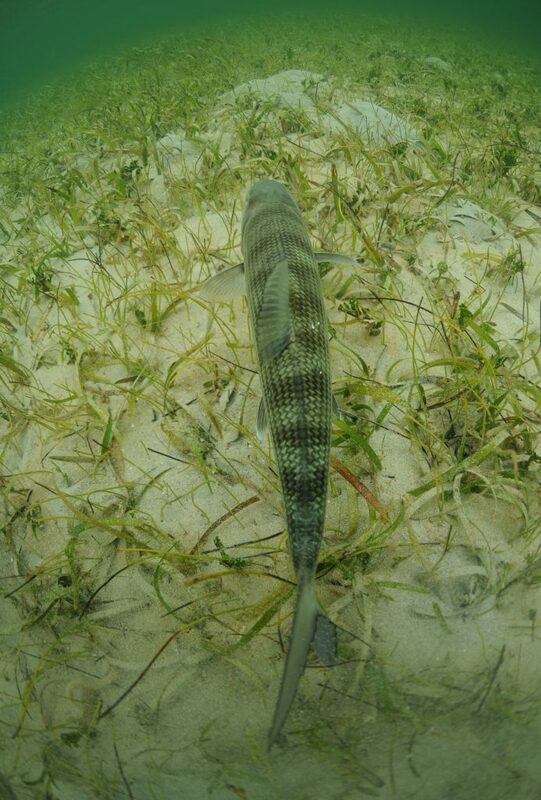 Oftentimes, the Tarpon are eating the very same patterns that we’re presenting to Bonefish. This makes for more shots…and more hookups. We’ve also been catching a good number of Snook and Redfish up in Florida Bay and Flamingo. This is the time of year when these fish make their way into shallower and darker bottoms in search of warmer water as cold fronts move through the estuaries. Our anglers are able to work 6- and 7- weight outfits for these fish and use a myriad of flies that mimic the small baitfish that also seek the warmer water. There is no better time to escape the cold and join us for an experience that will warm your heart…and burn up your drag. Call us now to book your trip! As I write this it is in the 60s and sunny here in Islamorada. This welcomed cold front will surely spark up the fishing. We will change up the tactics a bit and tarpon come into play as well. 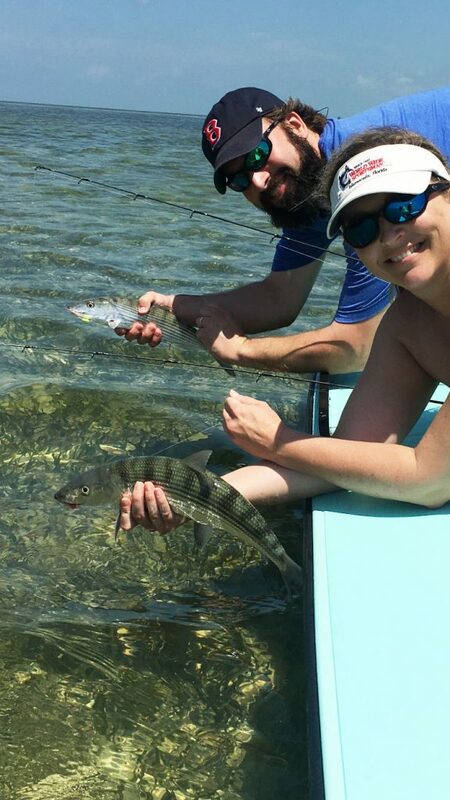 Luckily we have moved on since Hurricane Irma, and our clients are seeing some great catches including trophy bonefish, permit and smaller tarpon. The key to getting on the fish has been an early start. Finding the fish tailing early in the am on the right tide has been yielding some big bonefish. We always have a pitch rod ready with a crab because you never know when Mr. Permit is going to be cruising by. I still have some dates available in November and we are starting to book December into 2018 now. 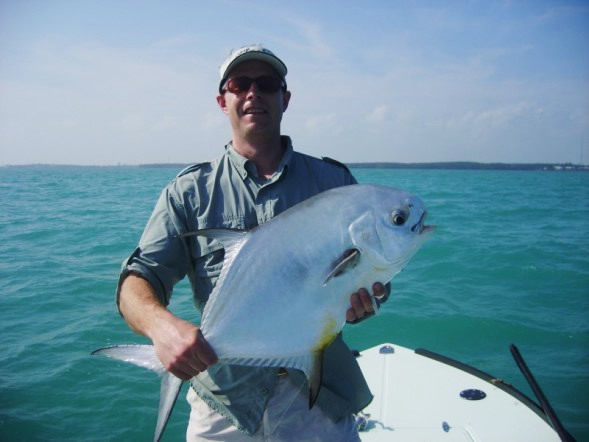 Please give me a call if you would like to experience Flats Fishing in the Florida Keys.